Renowned Trombone Soloist, Peter Moore, delivered an outstanding performance at the latest Isle of Wight Symphony Orchestra concert. Read more in Jonathan’s review. 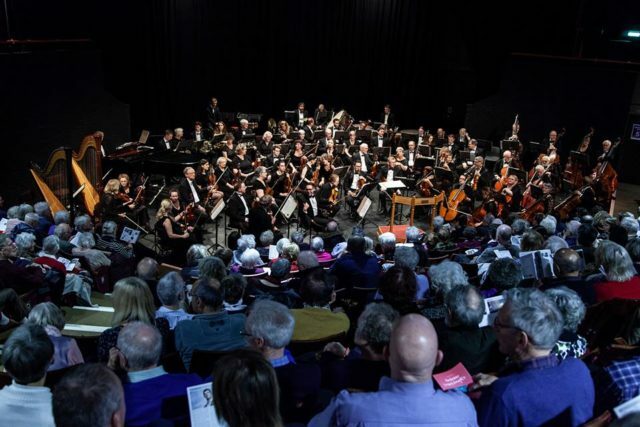 Medina Theatre was recently completely sold out for yet another concert given by the Isle of Wight Symphony Orchestra, the third in this year’s season. As usual, it was packed to the rafters with people looking forward to an evening of great music, and nobody was disappointed. When the conductor Jonathan Butcher strode to the podium, everyone was ready, and a hush settled over the entire assembly. As soon as he raised his baton, the evening came alive. The first piece of music was An Outdoor Overture, by Aaron Copland. There is something innately fresh and open-air about everything I’ve ever heard by Copland, and I’ve never been able to define what it is. For me he’s the easiest of composers to recognise, and he always transports me to places filled with fresh air and grand vistas and people getting on with their lives, and there’s something very American about him too. I don’t know how he does it, but it always makes me feel that I’m out in the open and the sunshine, with the breeze rustling the grass, and it makes me happy. There was a particularly lovely trumpet solo in there, played with panache by Gareth Balch. Next was a Ritual Fire Dance, by Manuel de Falla. I’ve noticed that somewhere in the Nineteenth Century it became almost fashionable for every composer to write some Spanish music. Perhaps it was because it was so much easier to travel, and the opening up of new experiences, but so many composers became entranced by the rhythms and dances of Spain, and they all had a go at creating or recreating their own. Manuel de Falla wrote the real thing. The fire dance didn’t have all the effects and glamour of other so-called Spanish music, but it felt far deeper, as if written from the soul of Spain, and the passion was all there, but somehow deeper beneath the surface. I was entranced and transported by the music, so beautifully played by the orchestra. The third piece was a new experience. 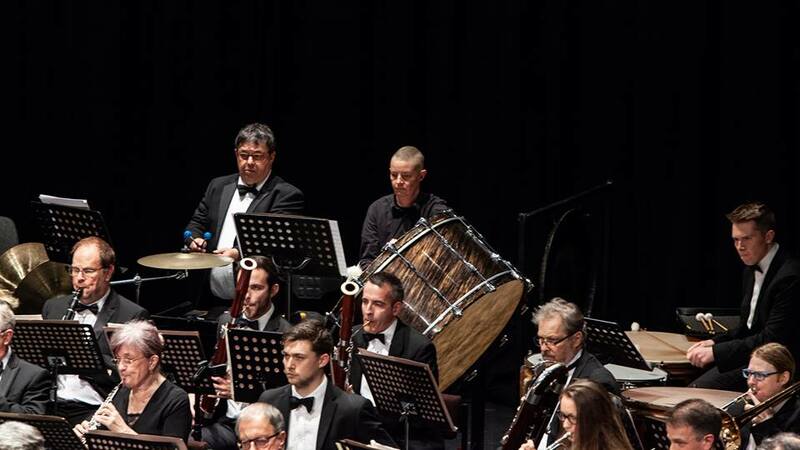 I have always been aware of the trombones, tucked away between the big drums and the double basses, behind the trumpets and occasionally having a tuba for a neighbour, but I’ve never seen one up front and in charge. 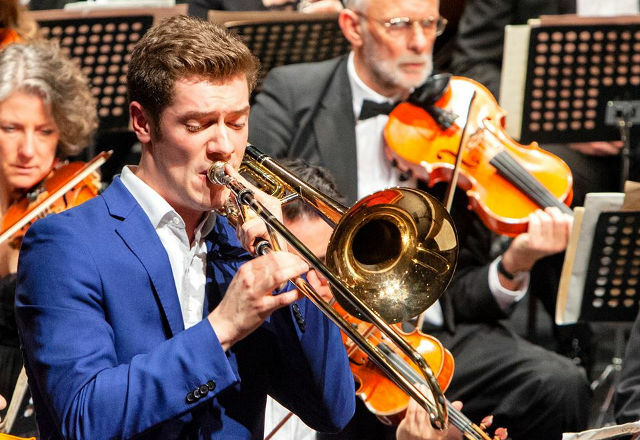 The renowned Trombone Soloist Peter Moore brought us a performance of the Symphony for Trombone and Orchestra, by Ernest Bloch. I never realised before the amount of noise a trombone can make, or the control that is possible in the hands of a skilled musician. 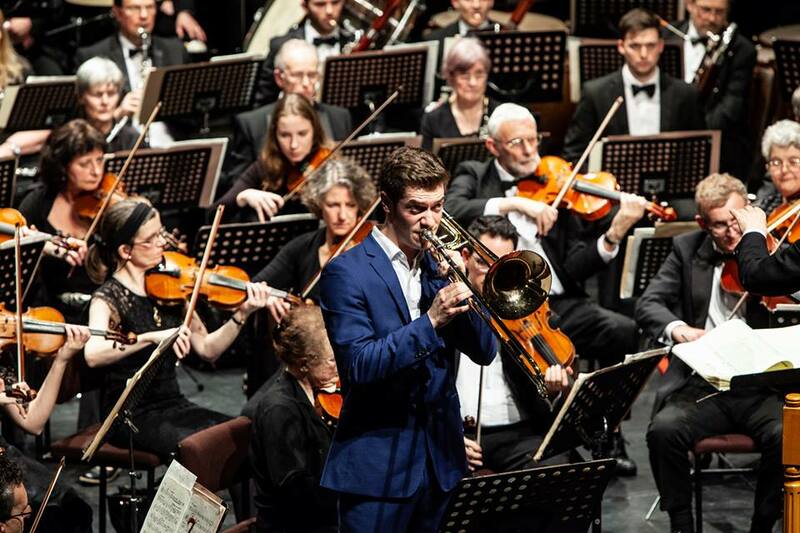 Peter Moore’s performance was clear and precise, showcasing the range and clarity of the trombone, and he was partnered by the orchestra in a way that felt like they were having a conversation. I will never take the trombone for granted again. After the interval, the orchestra settled down to a performance of Elgar’s Symphony Number 1. 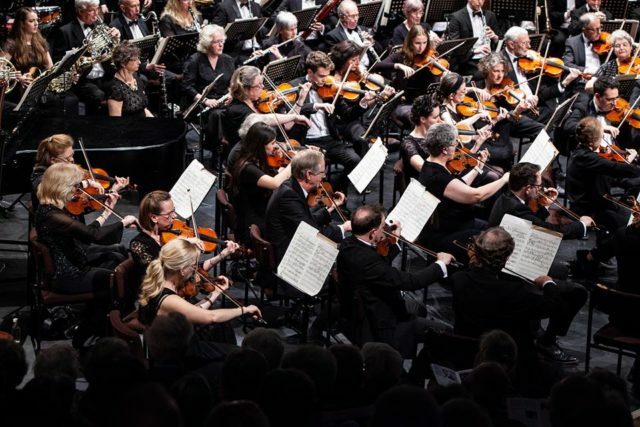 I’ve only been familiar with Elgar’s shorter works, and I’ve always loved the concertos and the Pomp and Circumstance pieces, but I’ve never listened to one of his symphonies before. 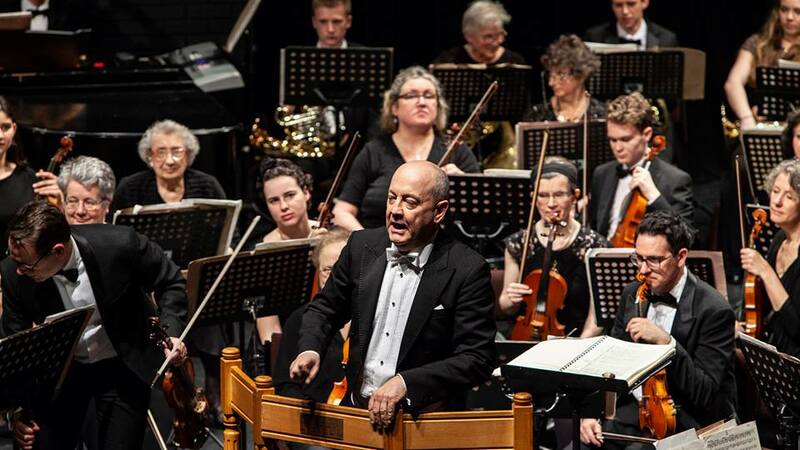 It is a long piece, very traditionally structured, with the whole orchestra playing throughout, and it doesn’t hurry. It feels like someone settling down to really think through a difficult and complex problem, or trying to make up his mind, trying out various solutions and concepts, and working through all the options in a serious and logical way, and finally coming to a conclusion that is at once right and satisfactory. I’ve always been amazed that music can describe in great detail such ideas and thoughts and processes, without using language, so that we can be aware of the process and the conclusion, sometimes without being in anyway aware of what the real subject is. I felt this while listening. I could tell that it was most important to Elgar to write it, and he had a clear understanding of what he wanted to say, and that he worked so hard to be as clear as possible. I felt all those emotions as I journeyed through his thoughts and struggled with what he was trying to say, and I felt his relief and triumph as he came to his conclusion and put it all into the last movement of the symphony, and I didn’t mind that I don’t have any clear idea in my own mind as to what he was struggling with. I am free to place my own meaning on it. 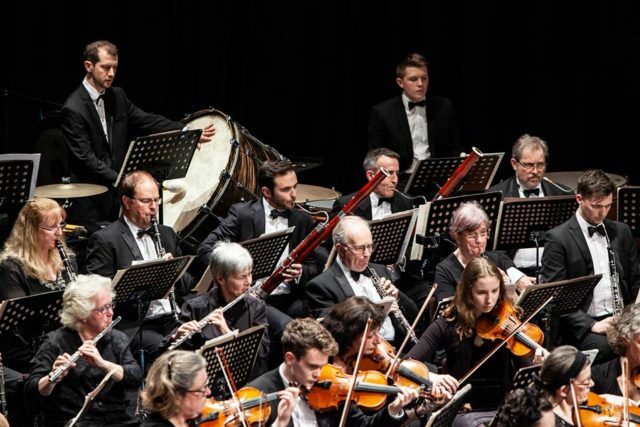 Needless to say, the orchestra put their hearts and their minds and their skills completely into their performance, and I thank them for a great evening of wonderful music. 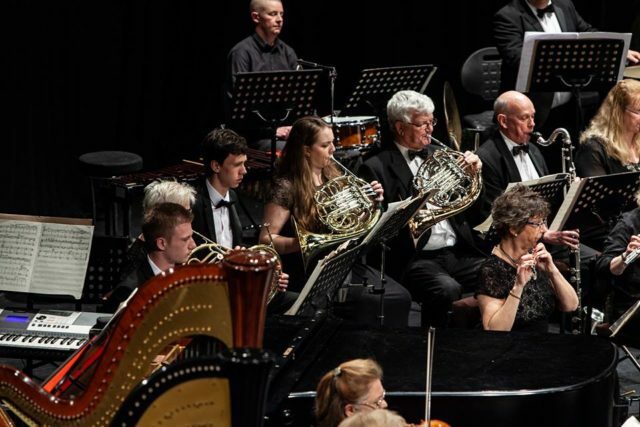 Next time (18th May) there’s a mixed programme, including a Trumpet Overture by Mendelssohn, Fantasia on the Alleluia Hymn by Gordon Jacob, which will be completely new to me, and the Third Piano Concerto by Prokofiev, which I’m going to enjoy very much. And all that will be topped up by the Symphony Number 4 by Brahms. It’ll be packed out again, so get your tickets while there are some left. I can’t wait. See you there.